Batdorf & Bronson rules the java at Dancing Goats. : Larry and Cherie Challain founded this cross-country chain of coffee bars in 1988 in Olympia, Wash., and opened the first one in the Atlanta area (Decatur) in 1994. 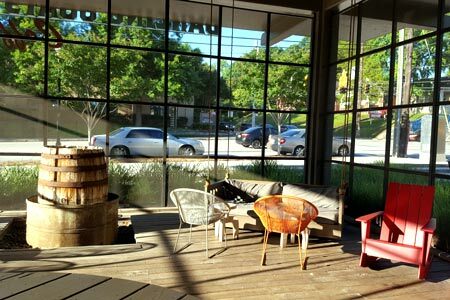 This outpost in Ponce City Market is to date the largest, with a comfortable, expansive screened-in porch. Inside, you'll find a staff of competent baristas able to produce really good coffee from a variety of sources. Pastries come from local purveyors and provide ample accompaniments for everything from breakfast to coffee break. The space invites lingering, book reading and maybe even snoozing. Also located at 419 W. Ponce De Leon, Decatur, 404-687-1100; and 33 Peachtree Pl. NE, Ste. 9, Midtown, 404-600-6547.